Genuine Smooth Leather Double Stitched Edge. 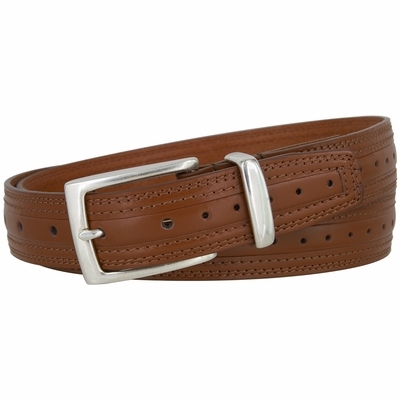 Perforated Center Line with small holes all around the belt strap. Featuring a antiques silver finished Buckle with 1 matching antique silver finish loop.